Get higher rankings in the search engines and more targeted traffic to your site with our SEO (Search Engine Optimization) services. Remote SEO Coaching, where Mike shows you how to improve your website’s search engine optimization. Full-Service SEO Services, where a professional staff of SEO experts will optimize your website for you. Remote SEO coaching is ideal for organizations that want to train their internal staff in the tactics and techniques of search engine optimization. This includes web designers, IT professionals, business owners, and those who want to learn how to implement SEO strategies themselves. Once your information arrives, we will perform research and schedule a 60 to 90 minute GoToMeeting call where Mike will show you techniques and answer questions. You can have as many of your staff that want to log into the conference online to see the steps Mike is taking while on the conference call. You will want to record this call for future reference. Professional SEO Services are ideal for those who prefer to depend on the SEO experts to increase their search engine results. We work closely with you to determine the specific target market prospects that you want to attract, both regionally and globally. We also help you define your top keyword phrases that will be used throughout your site’s content and code to improve your results. 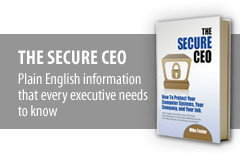 Perfect for all sizes of businesses and types of industries, regardless of your products or services. This saves you time and resources. These services are guaranteed to improve your search engine rankings. 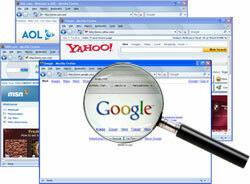 Engage the Foster Institute to help you get higher rankings in the search engines.